Внимание: вам нужен набор для взятия образца? Мы предоставляем бесплатный набор для проведения тестов. Набор включает в себя две ватные палочки и защитный пакет или набор "Сухая кровь", в зависимости от способа доставки. Хотите добавить набор для тестов к вашему заказу? If you reset your selection your current shopping cart is going to be cleared. Обращаем ваше внимание, что по умолчанию на странице отбражаются цены для владельцев животных из стран Евросоюза! Пожалуйста, зарегистрируйтесь для отображения актуальных цен вашего конкретного региона, а также возможных индивидуальных скидок и акций. Вы можете добавить генетический тест только для одного вида животного. Если вы положите этот тест в корзину предыдушие тесты будут утеряны. The natural anti-A and anti-B antibodies can leed to bloodgroup incompatibility that can be lethal. First symptoms are dyspnea, vomiting and agitation. 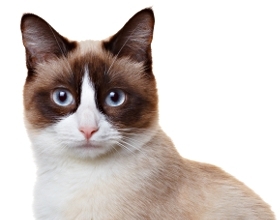 Neonatal isoerythrolysis occurs when a female cat with blood type B is bred to an A-type male cat and the A-type kitten absorb the anti-A antibodies from the breast milk. Myotonia congenita (MC) is characterized by inability of the muscle to relax after voluntary contraction. Affected cats have a protruding tongue, limited range of jaw motion and drooling with prominent neck and proximal limb musculature. 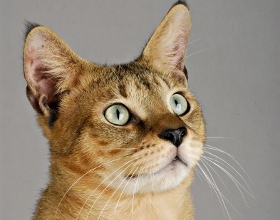 Additionally, these cats show a short-strided gait, problems while swallowing and excessive salivation. PKD causes the formation of hepatic and renal cysts as well as of fluid-filled renal cysts, often leading to renal failure. The kidney cysts for PKD are present early, generally before 12 months, but renal failure generally occurs at a later time, thus it is considered a late onset renal disease. 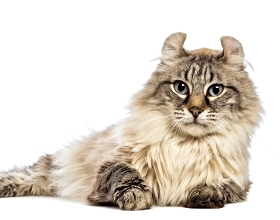 Clinical signs are non specific but common to cats experiencing renal dysfunction, including depression, anorexia, reduced appetite, polyuria, polydypsia, and weight loss. Onset of photoreceptor loss is around 5 weeks of age with severe loss by 16 weeks of age. 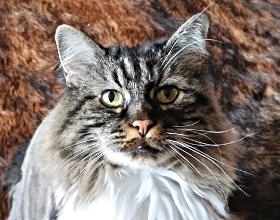 In affected cats, uncoordinated eye movement is often observed, as well as owner-reported increased eye-shine (tapetal reflectivity) as thinning of the retina progresses. Примечание: перечисленные здесь тесты не подтверждены для выбраной вами породы, мы не можем дать гарантию правильного результата. Symptoms of a-mannosidosis include malformation in bone structure and severe neurological symptoms such as ataxia, tremor and limited vision. 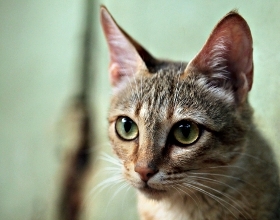 Affected cats usually die after birth or in the first months of life. 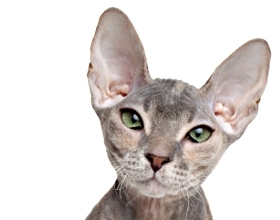 Genetic variants in the KRT71 gene can cause either a nearly hairless (Sphynx) or a curly coated phenotype (Devon Rex). The congenital myasthenic syndrome shows generalized amyosthenia particularly following stress or agitation. 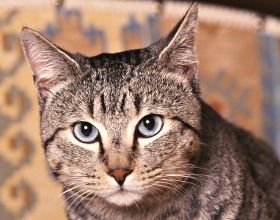 Affected cats often exhibit a squirrel-like posture and rest their front paws on elevated objects. The gangliosidoses are progressive, fatal neurological diseases of cats where gangliosides accumulate principally in neuronal lysosomes. Affected kittens have head tremors at the beginning followed by impaired co-ordination of leg movements which eventually lead to paralysis. GM1 and GM2 belong to a group of inherited diseases known as lysosomal storage diseases. They are characterised by the accumulation of unprocessed material in enlarged lysosomes. 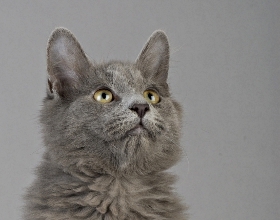 Affected kittens have head tremors at the beginning followed by impaired co-ordination of leg movements which eventually lead to paralysis. Glycogen storage disease type IV (GSD IV) is an inherited abnormality of glucose metabolism. Deficiency of GBE activity leads to abnormal glycogen accumulation in myocytes, hepatocytes, and neurones, causing variably progressive, benign to lethal organ dysfunctions. 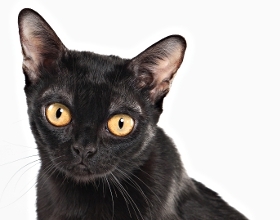 Most affected kittens die at or soon after bird, presumably due to hypoglycemia. HCM is characterised by an increased left ventricular mass due to an increase in wall thickness of the heart, with papillary muscle hypertrophy and systolic anterior motion of the Mitral valves. Subsequently, hypertrophy of the left heart chamber results in cardiac weakness and ultimately in heart failure. 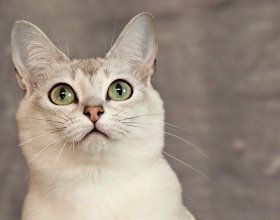 Burmese Hypokalemia is characterized by episodes of low serum potassium levels and high CPK. Clinical signs include episodes of skeletal muscle weakness which can affect the whole animal or may be restricted to certain muscles. This is most obvious in the neck muscles, but sometimes occurs in just the limbs. 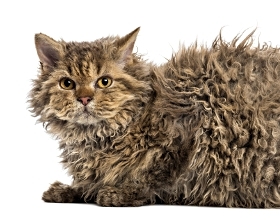 Kitten affected by Hypertrichosis are either born bald or have a thin downy coat that falls out within a week of birth. In addition, oily and crusty skin in the facial area and anomalies of the claws, tongue and beard are other clinical symptoms. 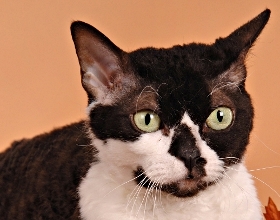 Cats with MPS VI which show the severe phenotype exhibit dwarfism and facial dysmorphia due to epiphyseal dysplasia and lysosomal inclusions in most tissues including chondrocytes, corneal clouding, degenerative joint disease and abnormal leukocyte inclusions. 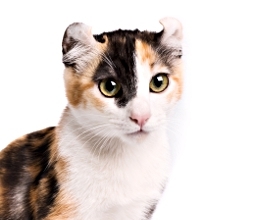 Cats with the mild phenotype show similar but milder symptoms and have normal growth and appearance. 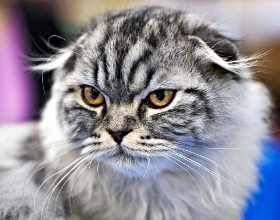 Scottish fold cats show the characteristic ear shape. Furthermore this mutation causes osteochondrodysplasia in this breed with malformation in bones and joints of the distal limbs and tail. Glaucoma is a leading cause of blindness due to characteristic damage to the retinal ganglion cells and optic nerve. 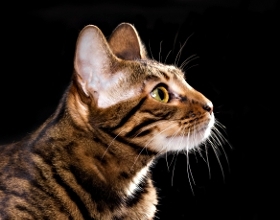 Elevated intraocular pressure, globe enlargement and elongated ciliary processes were consistently observed in all affected cats by 8 weeks of age. 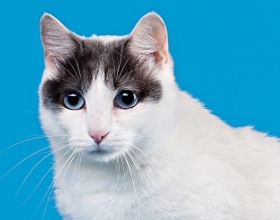 Loss of cells begins around 7 weeks of age and slowly progresses until the cat has very compromised vision by approximately 2 years of age. 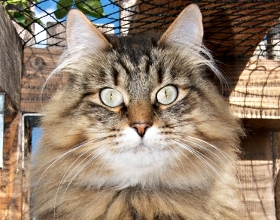 The pupils are usually more dilated for affected cats than for cats with normal vision in the same lighting conditions. Pyruvate kinase (PK) deficiency manifests as an hemolytic anemia of variable severity with a strong regenerative response. 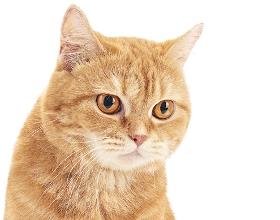 Affected cats can have a normal life span, only intermittently have anemia, and do not seem to develop either osteosclerosis or liver failure. 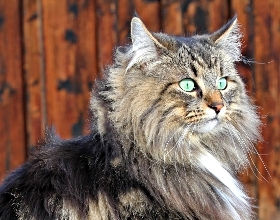 The clinical signs of disease reflect the anemic status of the animal and include exercise intolerance, weakness, heart murmur and splenomegaly. SMA is a disorder caused by death of spinal cord neurons that activate skeletal muscles of the trunk and limbs. Loss of neurons in the first few months of life leads to muscle weakness and atrophy that first becomes apparent at 3-4 months of age. Affected kittens develop an odd gait with a sway of the hindquarters and stand with the hocks nearly touching. 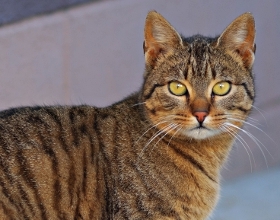 The Agouti gene regulates the presence of tabby" markings. 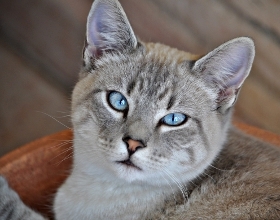 If the cat doesn't carry the genetics for tabby, the cat is "solid" coloured"
A rare mutation in TYR (cc) causes an albino phenotype of a white coat with blue eyes. 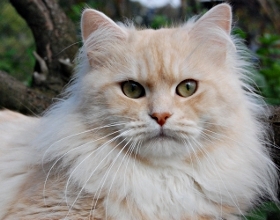 The albino mutation is recessive to the sepia and Siamese mutations. The coat colour chocolate/cinnamon can cause all black pigment to change to a brown colour that can appear either in a darker (chocolate) or a brighter variant (cinnamon). 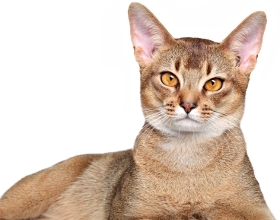 includes the following genetic tests: Agouti, Brown (Chocolate/Cinnamon), Colourpoint (Siampoint/ Burmapoint) and Dilution! 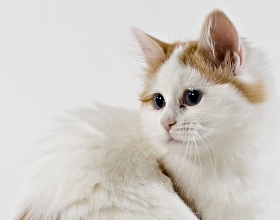 Both dominant White and white spotting can be caused by genetic variants in the KIT gene. includes the following genetic tests: Charcoal, Brown (Chocolate/Cinnamon), Snow and Dilution! Для определения родства ( и вероятности) перед оправкой проб необходимо проконсультироваться в лаборатории. The DNA profile is established according the recommendation of the International Society for Animal Genetics (ISAG). 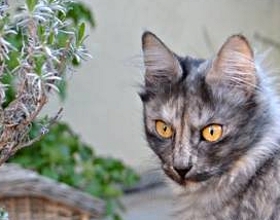 A DNA profile is based on testing high-variable microsatellites-markers (17 markers for the cat). Note: Certificate included! The veterinarian or an independent authorised person (e.g. breed warden) is required to perform sampling in order for a certificate to be issued. База данных содержит эталонные популяции европейский пород. 4 Вам нужны наборы для отбора проб? Да, пришлите мне бесплатные наборы для отбора проб. Набор содержит все контейнеры для проб, необходимые для отправки. * Все цены указаны с учетом НДС. Доставка по Германии осуществляется бесплатно.